Globalization brings people from different cultures closer together. While the language barrier still exists, there are several things that make communication among people speaking different languages possible. Travelers would say that one must learn at least a few basic words and phrases to get by and the easiest way to do this is to buy a phrase book. Others might find the language interesting enough to enroll in language class before embarking on a trip to a foreign land. People wishing to settle, do business or study in another country where the language is different from what is normally spoken at home must engage the services of a document translation service provider to have their documents translated accurately. How else can you make yourself understood when you do not speak the language of the country you are visiting.? Aside from the handy phrase book, you can use sign and body language; you can draw, use facial expressions, or ask the help of someone who is willing to translate for you. However, there is one universal thing that does not need to be translated in a language you are familiar with to be understood. It’s called music. Freedom of speech is a basic human right. People around the world are exercising this right. The availability of modern communication tools allows people to express their ideas and thoughts freely to more people than ever. 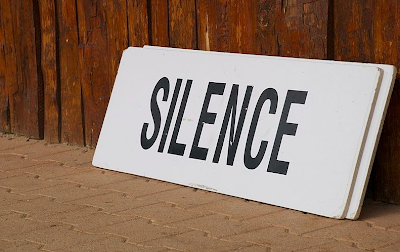 Today’s generation specifically seems to have already forgotten that at times, being silent is important too. When too many people are expressing their opinion at the same time, it is hard to listen and sometimes, the best way to be heard is by keeping silent. This is a very old proverb, and yet its value is still immeasurable. Yes, it is fine to speak our minds out. However, we do not have to do it all the time, especially when we are hurt or angry. You know why? Because we have to remember that words are very powerful. Words are used to educate, bless, help and express one’s expertise. They can also harm, curse, reveal a person’s foolishness or cause damage. It is all right to speak about things and ideas that arouse our passions. However, it cannot be stressed enough that at times, especially when we are hurt or angry that we should stop and hold our tongue, to avoid causing more hurt, damage or irreparable consequences. When we are in such a situation, we should refrain from using our mobile phones or visiting a social networking site and curb our tongues until our heads are clear. The Philippine volcano Mount Pinatubo located in the island of Luzon in the Philippines was almost obscure and covered with dense forest. Its history of eruptions is basically unknown. 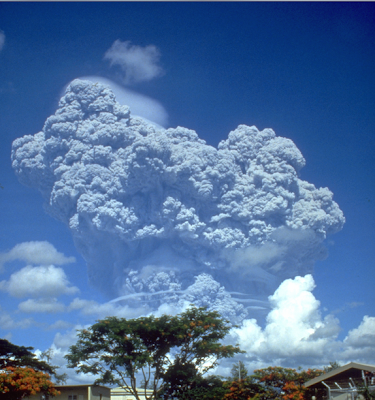 However, on June 15, 1991, before its eruption, it released a giant mushroom cloud of thick volcanic ash resembling a massive cauliflower; its effect was felt almost worldwide. It spread huge amounts of aerosols into the stratosphere that is more than what Krakatoa eruption did when it erupted in 1883. Mount Pinatubo ejected more than 20 million tons of sulfur dioxide and nearly 10 million metric tons of magma. When touring we are bound to see many astounding structures that make you go wow. Nevertheless, there are several more that are truly amazing that they are worth more than a second look. 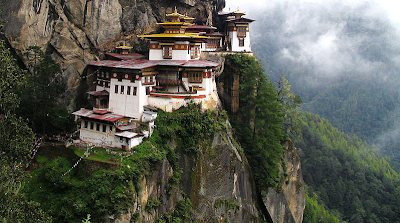 Seeming to hang precariously on the almost vertical rock slopes of a cliff in upper Paro Valley is Paro Taktsang, which is also known as the Tiger’s Nest. 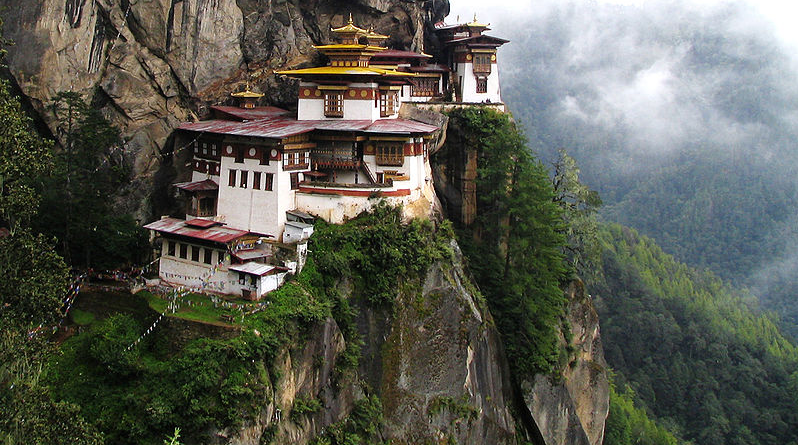 The multi-level monastery, initially built in 1692 is a sacred site for Himalayan Buddhists. It is located 3,120 meters above sea level. Wispy clouds that shroud the temple for many days give it an eerie and mystical look. Christmas time is truly a magical time. 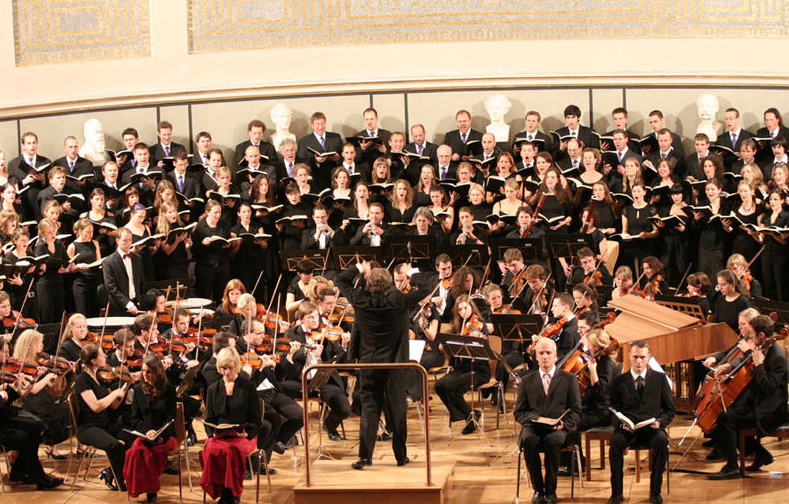 In almost every corner of the world, different types of celebrations for the Christmas season are held annually. In most cities and towns, holiday decorations include giant Christmas trees decorated in different themes. Trees and shrubs are wrapped and covered in tiny Christmas lights, lampposts, houses and building display Christmas lanterns, wreaths and other holiday decorations. Big shopping malls hire decorators to create colorful themed store displays. 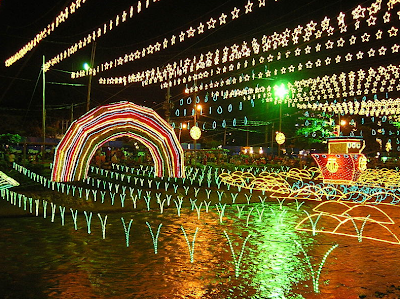 In the beautiful city of Medellín, in the South American country of Colombia, the Los Alumbrados de Medellín or the Medellín Christmas Lights in Spanish is hosted from the 7th of December until the 15th of January. Eighteen million LED lights. A myriad of colors. Giant 3D structures. 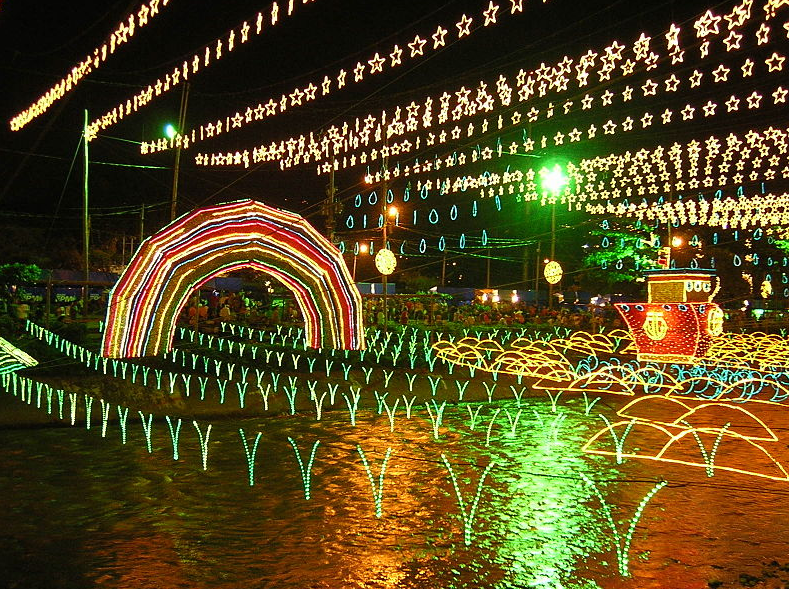 These are what you will see in Medellín in December. The event is world-renown and brings in hordes of tourists to the city. It is an event that marks the unofficial start of the Christmas season in Colombia. It is a spectacular event that turns the whole city of Medellín into a varicolored nighttime jewel. The world over, many dynasties ruled for hundreds and thousands of years, and most of them laid the foundations for modern forms of government. While most have ceased to exist, there are still a few that still continue their reign. History is an interesting subject to explore because it gives you a clearer understanding of the past, its effects and repercussions as the case may be and the contributions past dynasties brought forth. There were many significant events, discoveries and births during these periods that contributed to and shaped the histories of these nations. Their reign also made a lasting impact to the rest of the world, ancient and modern. Bulgaria. The House of Dulo or Dulo Clan reigned from 2137 BC until 753 AD, ruling the early Bulgars for 2,890 years. The Kubrat clan founded the dynasty, which brought about the unification of the Bulgar tribes. Japan. The Imperial House of Japan has been ruling the country from 660 BCE until today. Known as the Chrysanthemum Throne or Yamato Dynasty, it has continuously reigned for more than 2,669 years. Current monarch is Emperor Akihito. Vietnam. The Hồng Bàng Dynasty is also known as the Lạc Dynasty. It was the 1st dynasty that ruled Vietnam from 2897 to 258 BC, a total of 2,639 years. Legend had it that its founder was Kinh Dương Vương, whose title was Hùng Vương. Korea. From 2333 BCE until 108 BCE, Korea was under th Gojoseon Dynasty. The ancient kingdom remained in power for 2,225 years and laid the foundation for the first proper nation in the peninsula. Dangun Wanggeom was its founder, according to legend. Vietnam. Another dynasty, the Champa Dynasty ruled Vietnam for 1,640 years from 192 BC to 1832 AD. The oldest known written Malay language from the 4th century AD came from this dynasty. It was created 300 years earlier than the Sumatran texts. 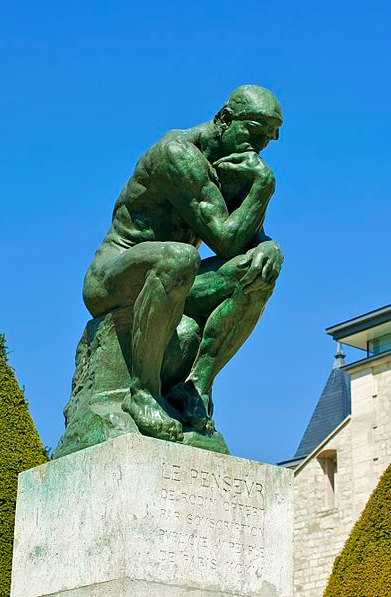 The Thinker, Auguste Rodin’s most famous work is undoubtedly the most recognized sculpture the world over. Full size bronze casts of the original sculpture displayed in front of the Musée Rodin in Paris, France are found in more than 30 locations around the world, including Asia, Europe and the United States. The one that is at the University of Louisville in Kentucky is special since this is the first bronze cast made from the original. Various plaster casts and study-size casts of The Thinker are seen in global locations as well. The massive sculpture stands, or should we say sits at a height of six feet and six inches. With the intentionally massive arms and shoulders given to the sculpture piece, when fully erect, The Thinker would be a colossal figure that would tower over men. The sculpture was originally part of a commissioned work by the Musée des Arts Décoratifs of Paris in 1880. The plan was to create the museum’s door that would depict The Gates of Hell from Dante Alighieri’s Divine Comedy. Its original piece only measured 71.5 centimeters or 28.1 inches and named The Poet. The now-famous sculpture sat on the tympanum of the portal, contemplating the Inferno with 180 individual figures below. The sculpture of The Thinker was envisioned to represent poetry and intellect as well as Dante himself. 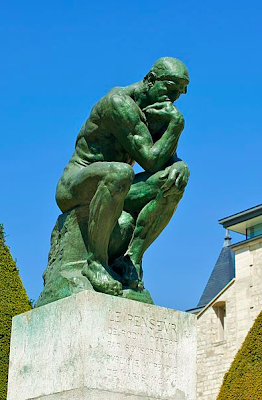 The Thinker was first cast in 1904, although Rodin worked on the whole Gates of Hell portal for 37 years. Have you just gone by Accident or passed Hell on your way to somewhere? You might have seen Five Forks while looking for Burnt Corn. Did you turn to Eek when you drove through Beaver, Chicken and King Salmon? Maybe Santa Claus actually lives in Paradise to easily go to Surprise although found Nothing but Love and Inspiration before asking Why there is Chloride and Mocassin on the way to Bitter Springs. Laugh if you may, but these are actual names of cities. Accident is a city in Maryland while Hell is in Michigan. Five Forks and Burnt Corn are in Alabama. Alaska is the location of Eek, Beaver, Chicken and King Salmon. Arizona has cities named Santa Claus, Paradise, Surprise, Nothing, Love, Inspiration, Why, Chloride, Mocassin and Bitter Springs. Since you are not a local, you'd really be awed by the length of these city names. In Southern New Zealand, you'll find a place with this formidable name: Taumatawhakatangihangakoauauotamateaturipukakapikimaungahoronukupokaiwhenuakitanatahu. The closest count of living languages today across the globe is 7,358. Various languages with less than 100,000 speakers account for 90% of the world's languages, while less than 2,000 languages are spoken by 1,000 people, more or less. It is fascinating to know that more than a million people only speak 150 to 200 languages while 46 languages could each have only one speaker. 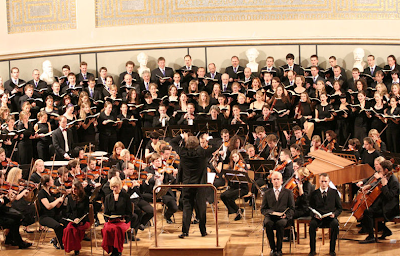 Plautdietsch is an exclusive language spoken by a select few. Plautdietsch, a variety of East Low German, is a Mennonite language. 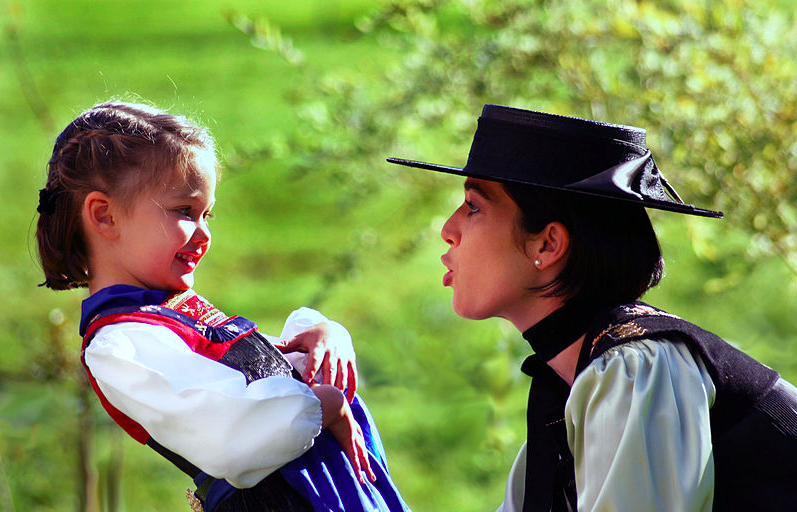 It is the exclusive language of the Mennonites, a religious group originally from Belgium and Holland. They fled these two countries in the 16th century to avoid persecution. Eventually they settled in Canada, the United States and in some Latin American countries. Today, 80,000 Mennonites living in Canada and those who have settled in Belize, Bolivia, Brazil, Costa Rica, Germany, Kazakhstan, Mexico and Paraguay speak Plautdietsch. In the United States, they are mainly in the city of Hillsboro in Kansas, in Reedley, California and the town of Corn in Oklahoma. Overall, about 300,000 Mennonites speak the language. It’s been 54 years since the hula hoop was introduced in the United States. It’s a simple toy that gives hours of joy. The hula hoop craze reached its peak in the 1950s. It became a National Toy Hall of Fame inductee in 1999. And the humble toy indeed has come a long way. It has entered other modalities – exercise, art and dance. The hula hooping has taken movements from rhythmic gymnastics, fire dance, twirling, freestyle dance and hip hop to develop its own style. But rather than being a new invention, hula hoops had been existent in Greece since the 5th century and used for play and exercise. It has long been used by patients with back problems and those who had suffered heart attacks in 13th century Scotland. Thank the American sailors who saw the hip movements of the hula dancers in Hawaii for attaching the word “hula” to the hoop. Individual and group hula hoopers have emerged, delighting spectators with the grace, flow, daring and creativity of their hooping performances. Cirque de Soleil has featured spectaculars using hula hoops. Fire dancers have incorporated specially-constructed hula hoops in their routines. 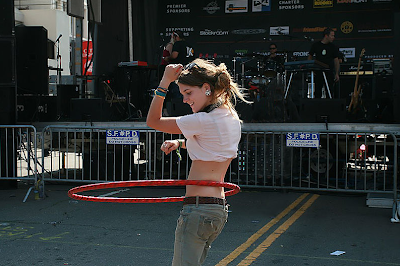 Expert hoopers use not just one but multiple hoops, twirling them around their necks, legs, arms and waists. The current record is 132 hoops twirled simultaneously, set in 2009 by Paul “Dizzy Hips” Blair. Books are great to have around. They keep us company. They take us to places. They make us have a clear understanding of things, concepts, ideas and beliefs. They could even make our fantasies come alive, and join us on some adventurous journeys. Books are written in a language that may be different from ours. The good thing is that most popular books are translated into other languages, to increase their readership and make more readers appreciate them across continents. Aside from the Bible, with 475 translations for the whole Bible and 112 translations for the Qu’ran, the most translated literary works are the well-known classics, old and new. This well-loved children’s classic about a wooden puppet that dreamed of being a boy had been translated into 260 languages from its original Italian text. 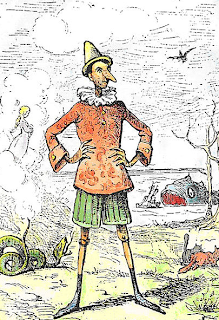 It was written by Carlo Collodi and first published in 1883. People communicate with acts and words. However, only 7% of what you want to communicate is delivered through words. Ninety-three percent of communication is expressed by non-verbal language, and 55% of it are from facial expressions. The tone and rhythm of your voice covers the balance of 38%. You could learn so much just by keenly observing a person’s eye movements. When speaking in public, the way you use our eyes has a tremendous impact on the listeners. The eyes can command attention. Eyes are very eloquent. They could show boredom, anger, surprise and a horde of other emotions. They could convey the subtlest to the strongest of meanings without you uttering a word. When a person is gazing directly into your eyes when you are having a conversion, it shows that the other person is interested in you and paying attention to what you are saying. You should learn to balance how long to maintain eye contact. When prolonged, it could be interpreted as being aggressive and threatening. On the other hand when a person frequently breaks eye contact, looks away frequently, it is an indication of being distracted, nervous or being uncomfortable. It could also mean that the person is trying to hide what he truly feels. Theme images by Storman. Powered by Blogger.